Whitby, Ontario – Want to check your route for traffic issues before hitting the road? 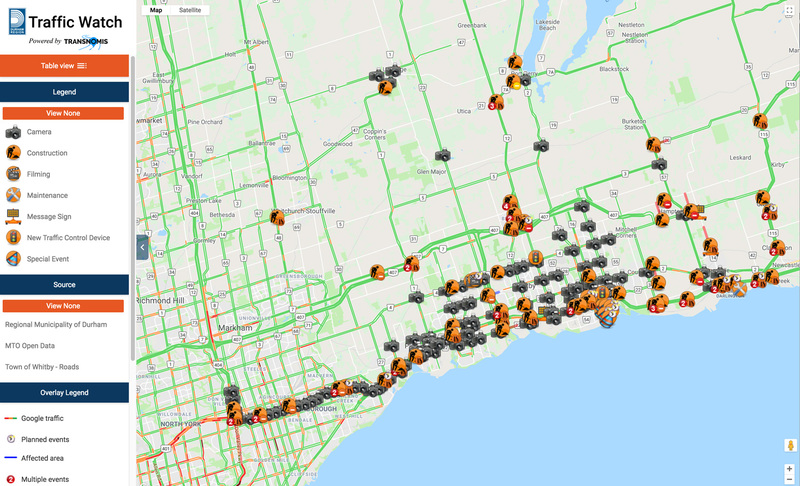 Durham Region’s Traffic Watch map is a live, interactive tool that shows issues that may affect your travel throughout Durham Region. Traffic Watch merges information from the Region, province and local area municipalities within the Region using similar systems. It hosts information about planned construction, as well as unplanned work such as watermain breaks or emergency road closures. The map also details road closures for other reasons, such as street festivals, parades or filming. Users may modify their view of Traffic Watch by choosing the layers they want to see. Explore the Traffic Watch map online at durham.ca/TrafficWatch.